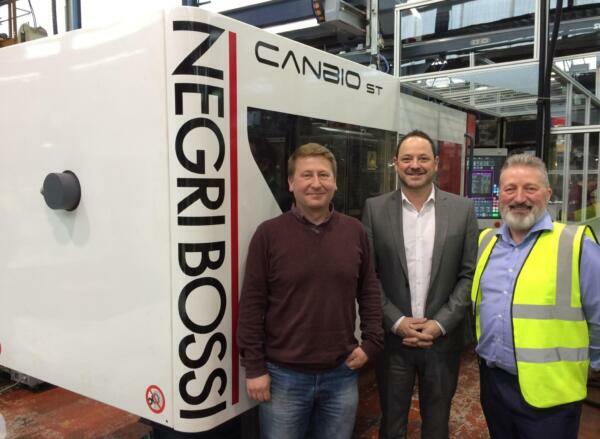 As part of their continual machine investment programme and recent new business wins, Counterplas were proud to take delivery of a brand new Negri Bossi Canbio ST 250-850 plastic injection moulding machine. 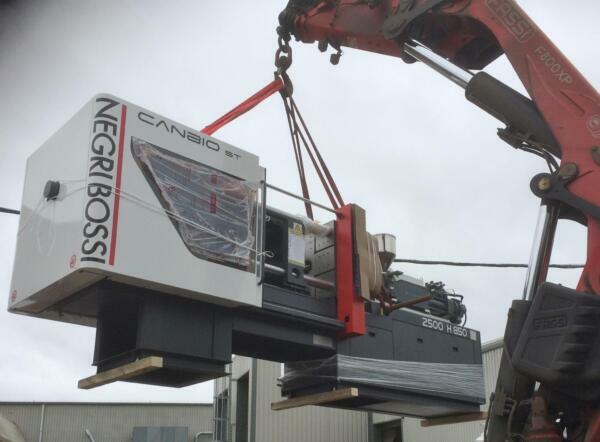 The new Canbio ST 250 Tonne machine recently installed in Counterplas utilises the newly developed “Smartflex” clamping unit design. Clamping units have improved tie bar spacing when compared to previous models and utilise precision linear guides to support the moving platen. This arrangement gives improved platen parallelism, especially with heavy moulds, better mould protection, faster opening and closing speeds and a lubrication free moulding zone a pre-requisite in cleanroom or medical/ food applications. The machine incorporates the latest energy saving servo pump Technology from Bosch – Rexroth. This state of the art pump drive significantly reduces the energy consumption compared to conventional variable and fixed pump drive systems; the faster response times of the pump gives all round improved machine performance with reduced noise levels, faster machine movements, and up to 60% reduction in energy consumption compared to conventional variable and fixed displacement drives. The machine is fitted with Negri Bossi’s latest “Tactus” 21” touch screen control. This new graphic interface and process communication system, which is common to all Negri Bossi ST machines and Negri Bossi’s range of Sytrama robots, provides a similar interface and browsing logic with significantly enhanced technical features in line with the current requirements of the industry. Inter process communication is by an Ethernet based Powerlink System, which is more than twice the speed of other systems in the market, and allows for fast transmission of larger data streams. This makes it more easily configurable for applications with complex automation, multi shot applications and management of peripheral equipment. The result on the machine is faster valve response times, leading to improved shot to shot, positional repeatability and improved quality. The machine is fitted with a full Servo driven Sytrama S7L robot with a 5kg Payload. This robot can perform multiple operations in a sequence, such as part pick-up and insertion, including movements inside and outside the mould area. The conveyor supplied by Negri Bossi has integrated safety guarding built on to the conveyor for a more compact solution compared to free standing guarding. Email sales@counterplas.co.uk or Tel: 0121 520 8387.